Devolution Dramatized? 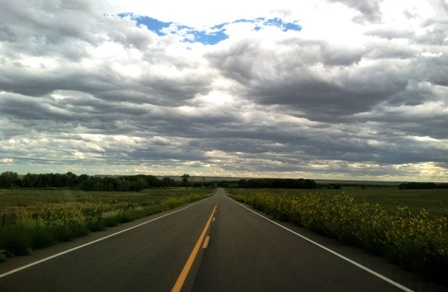 | "...a better country"
There are some moments that are symbolically significant. 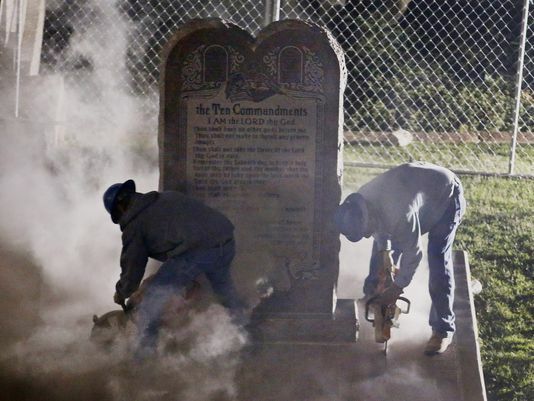 Under the cover of night, a 6-foot-tall granite monument inscribed with the Ten Commandments was removed from the Oklahoma Capitol grounds after State Supreme Court judges said its placement on government land violated state law. I understand the dangers from history concerning religious freedom. I understand most of the convoluted constitutional arguments. I side with James Madison on freedom of religion and the danger that government poses. However, I do not believe that the First Amendment requires a “naked public square” as Richard John Neuhaus phrased it. In contrast to the Oklahoma display, all manner of perverse behavior is portrayed openly in media without hesitation in the name of freedom and tolerance. A nation that openly abandons the source of moral order and law, results in a vacuum that will be filled by something. I hesitate to imagine what it will be.